He is the top-ranked Test bowler in the world. And there is good reason for this. 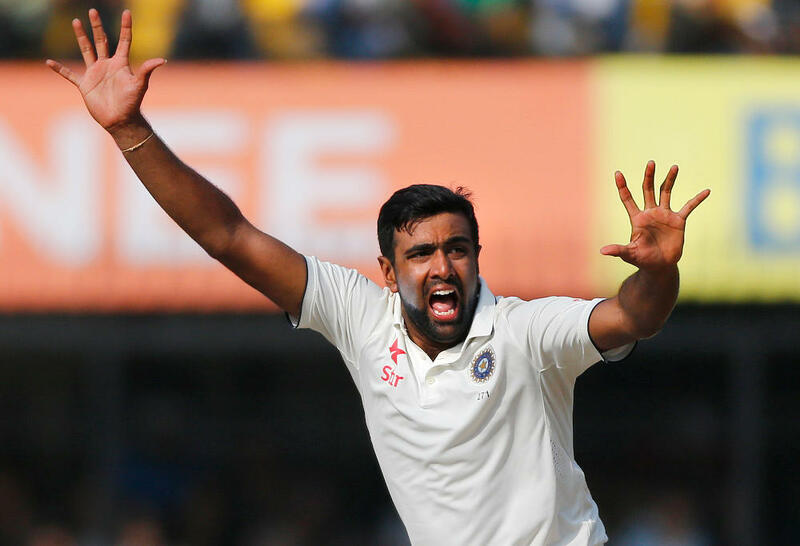 In the past year and a half, Ravi Ashwin’s average is 16.77 with 101 wickets from 15 Tests. These Tests have been played in India, the West Indies and Sri Lanka. He is the second fastest to reach 200 Test wickets after the legendary Charlie Grimmett. And the way he has progressed since then, few would bet against him getting to the 300 mark before anyone else. If he does so, he would have eclipsed Dennis Lillee’s record which has stood for over three decades. And he is rapidly becoming talked about as the main contender for the top all-rounder slot long vacated by Jacques Kallis. Questions continue to be asked about Ashwin’s perceived lack of success on foreign soil – the West Indies is dismissed by one of the leading Dailies in the UK recently as “almost sub-continental” – because 70 per cent of his wickets have come at home, where he has bowled 60 per cent of his overs. But as I pointed out in my article in The Roar last month, Lillee bowled 69 per cent of his overs at home and took 67 per cent of wickets on Australian pitches. So ‘home advantage’ is not Ashwin’s alone but applies to most bowlers. Let’s also not forget that spinners mature late, and Ashwin’s perceived lack of success on South African and English pitches was three years ago when he was still developing his craft. He didn’t bowl badly in Australia in 2015, and is a much-improved bowler 18 months later. So at the age of 30, he is getting to the peak of his prowess. And it is in this context that batsmen around the world are paying attention to a trend that for them is far more worrying. You are the best batsman in the team? Don’t say it too loudly around Ravi Ashwin! Kumar Sangakkara is one of the best batsmen to have come out of Sri Lanka as a part of their Golden Generation. 134 Tests. 12400 Runs. Batting Average 57.40. Highest score of 319. Statistics that can only draw out one reaction – Wow! A remarkable career was topped off by his second award as Wisden’s Leading Cricketer in the World in 2014, and the series against India in August 2015 was his swan song, where he would help Sri Lanka win the series and retire in a blaze of glory. Unfortunately, no one sent Ravi Ashwin this script. Sangakkara had scores of 5, 40, 32 and 18 in the two Tests that he played. While those were not the scores the great man was looking for, one could point to Bradman’s last innings duck and just focus on Sangakkara’s fantastic career. What rankled however, was, that in his last series, the leading cricketer in the world became Ravi Ashwin’s bunny, falling to his guile in all of the four times that he came out to bat. Bad luck, one would say. If not for what happened 12 months later. Kane Williamson came to India as Wisden’s Leading Cricketer for the World in 2015 and one of Wisden’s Leading Cricketers for 2016. 52 Tests. 4393 Runs. Batting Average 51.08. Highest Score of 242 not out. A century or more against every Test-playing country in the world. Not bad for a 26-year-old with perhaps a decade of cricket in front of him. But not good enough to prevail against Ravichandran Ashwin. In a repeat of the fate that befell his predecessor at the top of the Wisden list, Williamson played two Tests in India and was Ashwin’s bunny, getting out all four times to him. Other than a score of 75 in his first innings, it would count as a series this young batting sensation would like to forget. With Joe Root coming to India with a reputation as England’s best batsman, and the memory of a 254 against Pakistan at Old Trafford still bringing a spring to his step, we should get ready for a battle royale. But if the past 18 months and the shattered egos of Sangakkara and Williamson are any indication, if I were Joe Root, I would slip quietly past Mumbai customs, without declaring any silverware. With Ravi Ashwin taking a well-deserved rest before the series, I would be afraid.